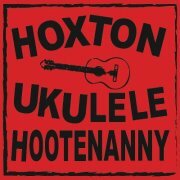 Tom Du Croz ignores his music ineptitude and joins the Ukulele Hootenanny at the Queen of Hoxton. The night is a free event for Ukulele players of all abilities to meet up and play together. Imagine 30 people sat in a bar all playing their Ukes (as I learnt to refer to them as) and singing along with gusto. Having no musical ability is not a barrier and even Tom was able to learn some cords and play along. The songs played ranged from the Beech Boys to Britney Spears via Dylan and Wheatus with the music and words all provided. You don’t even have to have your own Ukulele as they have ones for you to borrow.